Boxing lifers Bob Goodman and his father, the late Murray Goodman, are among 23 members of the Class of 2018 being inducted into the New York State Boxing Hall of Fame (NYSBHOF) on Sunday afternoon (12:30-5:30 p.m. ET), April 29. The seventh annual NYSBHOF induction dinner will be held once again at Russo’s On The Bay in Howard Beach, New York. A legendary boxing publicist, Murray Goodman (Bronx) brought his son into the sweet science when Bob was only eight years old. The rest was historic for the Goodmans, who are both inductees in several Halls of Fame, including the International Boxing Hall of Fame. “This is a great honor for me and my father,” Bob said. “I wish he were alive today to be there. I’m a boxing lifer. I was eight years old going to all the training camps with my father, who was a boxing writer and sports editor for the INS (Hearst News Service) service. The joke is I was conceived at Grossinger’s (Catskill Resort Hotel training camp). Boxing just came into my life. 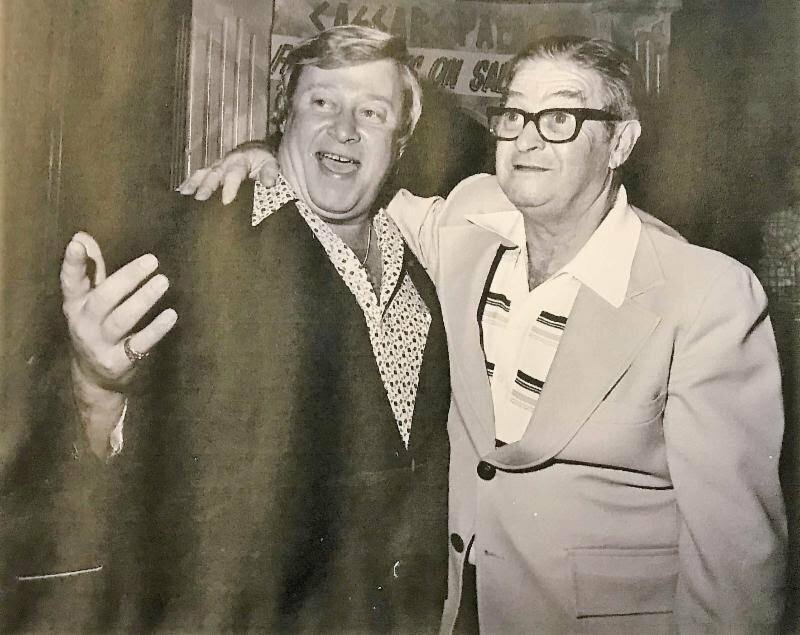 My dad and I had some businesses in promotions and public relations, all different kinds of sports-related businesses, but there was always boxing. Bob is, perhaps, best known as Vice President and Matchmaker for Madison Square Garden (1985-1994), as well as a quarter-century serving as Vice President of Boxing Operations, Matchmaker and Director of Public Relations for Don King Productions. He also promoted many world champions as President of his own company, Garden State Boxing. “I remember going away to training camps for weeks at a time,” the 78-year-old Goodman fondly remembered. “I’d take pictures, write stories every day and use my telecopier to send them to AP and UPI. I did so much being brought up un the business, even loading trucks up with chairs, the ring, speakers and more. My father was the Publicity Director for the International Boxing Club at Madison Square Garden. I worked there when I was a teenager. “I’m honored to be inducted into the New York State Boxing Hall of Fame with my father and so many boxing guys. They’re different from people in any other sports. One of the awards I’ve won that I’m most proud of is the James J. Walker Memorial Award for Long and Meritorious Service to Boxing (BWAA in 1960). Goodman, who served in the U.S. Coast Guard from 1958-62, stays active today working with veterans’ groups. He is President of the Weymouth Township Veteran’s Advisory Board, and also active with the American Legion and part of the Honor Guard with the Korean War Veterans Association. Among the world champions Bob has worked with are Muhammad Ali, George Foreman, Joe Frazier, Larry Holmes, Ken Norton, Felix Trinidad, Roberto Duran, Evander Holyfield, Lennox Lewis, Bob Foster, Salvador Sanchez, Sugar Ray Leonard, Julio Cesar Chavez, Wilfredo Gonez, Ricardo Lopez, Bernard Hopkins and so many more.